Bring your squad to the home of the 2016 Olympic women’s field hockey champions. Enjoy pre-season training in the picturesque surroundings of an English private school or the headquarters of GB hockey at Bisham Abbey. Deepen your understanding of the game with masterclasses delivered by GB Olympic field hockey players. Compete against and share your experiences with local field hockey teams keen to meet like-minded young people. Enjoy the famous sights of England. Explore London, shop in Niketown and visit the seaside with friends and teammates. Our tours are completely bespoke; we’ll work together with you to build the perfect tour to meet your budget and wish list. With access to some of the best combined sports and residential facilities in the UK, you can choose the type of accommodation that works best for you. Our school venues are available in July and August, and hotel venues are available the rest of the year. We can offer professional coaching with coaches hand-selected by our coaching director and Team GB hockey player Matt Daly. With field hockey a compulsory school sport in England, all our school venues offer great hockey pitches and sports facilities, or choose to take it to the next level at Bisham Abbey, elite National Sports Centre and the home of the England and GB Field Hockey team. Alternatively, you can choose a self-train programme where we supply you with the equipment and facilities you need to run your own training programme for your group. All you need to do is bring your coaches with you! If you would like some English competition during your tour, we can arrange matches with local clubs. We have a large network of contacts across the country and can organise matches for boys and girls across all junior age groups from 10 – 17. Working closely with you to ensure we find the right level of opposition for your group, we will arrange home and away matches during your stay. Not only is the competition a great motivator, but your players will have an opportunity to meet like-minded young English players. We try to schedule plenty of social time alongside these matches so that players get the chance to get to know their opponents and find out a little more about English youth hockey from their counterparts. With our fully-supervised programme our welfare team will organise and lead a programme of evening activities to keep players entertained even in their free time. From football-tennis to quiz nights we can organise activities each night to keep energy levels up and the team experience going strong. With many years’ experience organising all kinds of trips to a huge range of attractions across England, we will use our extensive knowledge to help you to choose the most relevant, interesting and fun excursions for your group. You can focus on sporting attractions or visiting some of the sights in England’s most famous cities. 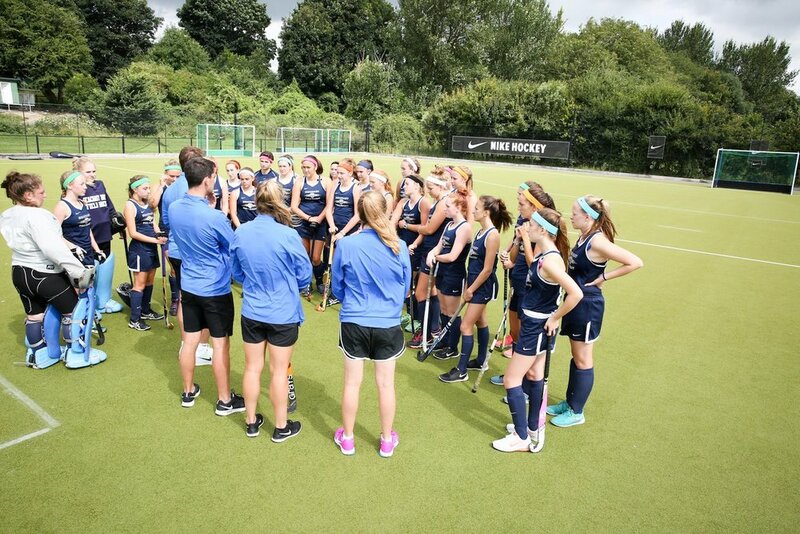 Tour the home of the England and GB Field Hockey teams, and the national governing body for field hockey. Bisham Abbey is both historic and state-of-the-art. Make an inspiring visit to the Olympic hockey centre, train on the stadium pitch and explore the Queen Elizabeth Olympic Park. We can arrange tickets to professional hockey matches in England where they are available during your stay.